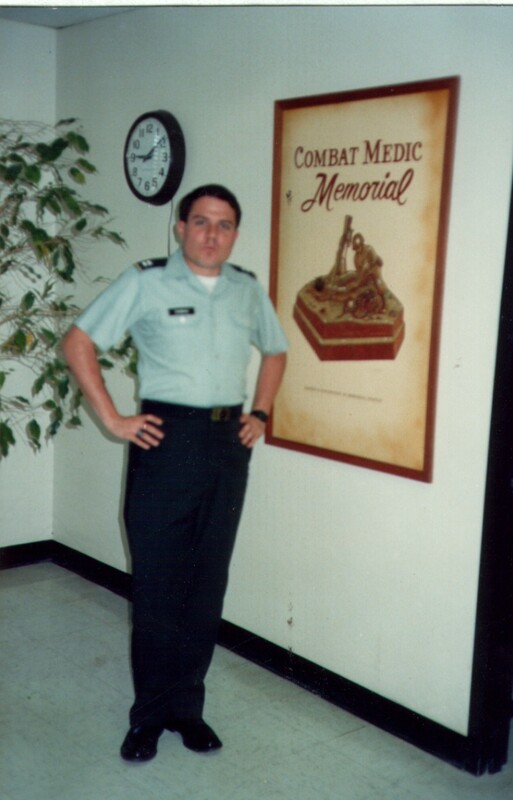 They say that “time flies when you’re having fun” and I cannot believe that I have been in the military now for 29 years. 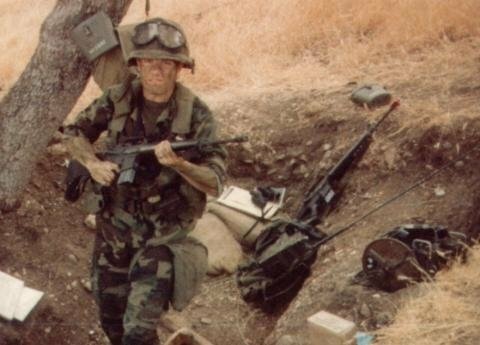 On August 25th 1981 a 21 year old college kid with long Southern California “surfer” hair walked into the California Army National Guard Armory on Van Nuys Boulevard to enlist in the National Guard after having just sworn into the Army ROTC program at UCLA. Back then I enlisted in what was or is called the Simultaneous Membership Program or SMP program. My initial military training came through the ROTC program as well as on the job training in the National Guard as a Field Artillery Forward Observer and Intelligence Specialist. On the day that I enlisted I met with Major Charles Armagost the S-1 of 3rd Battalion 144th Field Artillery and full time advisor for the battalion filled out my enlistment papers and raised my right hand. I still remember the day when I enlisted. It was a hot smoggy Los Angeles day where you could see the air. I walked down the hall after I swore in to see the supply Sergeant who outfitted me with four sets of Olive Green fatigues and ordered me two sets of the brand new BDUs. I was issued my TA-50 gear and taken to the motor pool where I was given cursory training on the M151A1 “Jeep” and issued a military drivers license. The three weeks later I was driving one of those venerable machines to Fort Irwin on a Friday through Sunday drill with the advanced party. It was the beginning of a 29 year career spanning two services, the active and reserve components and now multiple trips to combat zones. It has to quote Jerry Garcia of the Grateful Dead “a long strange trip” spanning the Army and the Navy, active and reserve components as well as two tours with the Marine Corps while serving in the Navy and the beat goes on with my selection for promotion to Commander and my Senate nomination to that grade on August 21st. 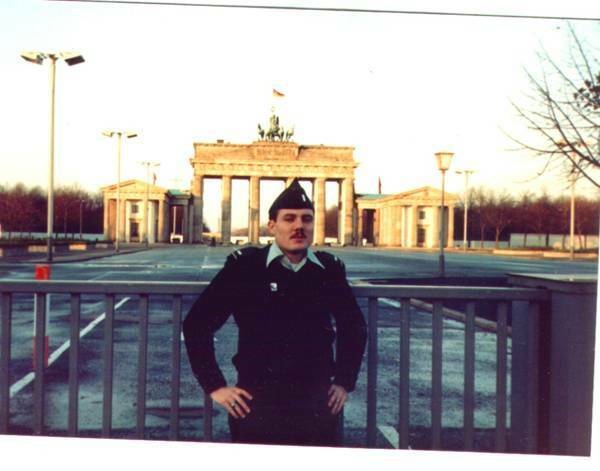 I have served on the Fulda Gap in the Cold War, been to what was then East Berlin driving the Helmstedt-Berlin corridor sharing the road with Soviet armored columns. 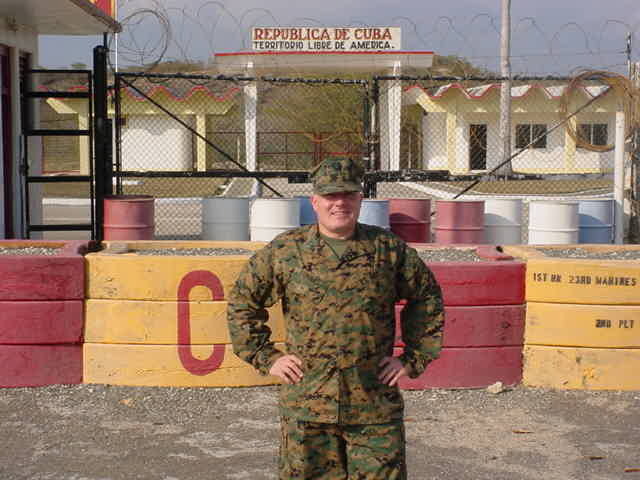 I supported the Bosnia Operation in 1996-97 and the Korean DMZ with the Marines in 2001. 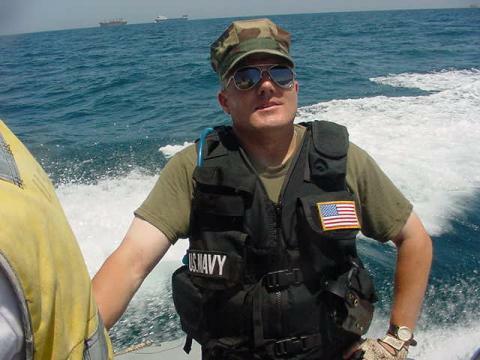 I served in Operation Enduring Freedom and Southern Watch in 2002 where I was on a boarding team, boarding 75 Iraqi and other country smuggling ships while serving aboard the USS Hue City. 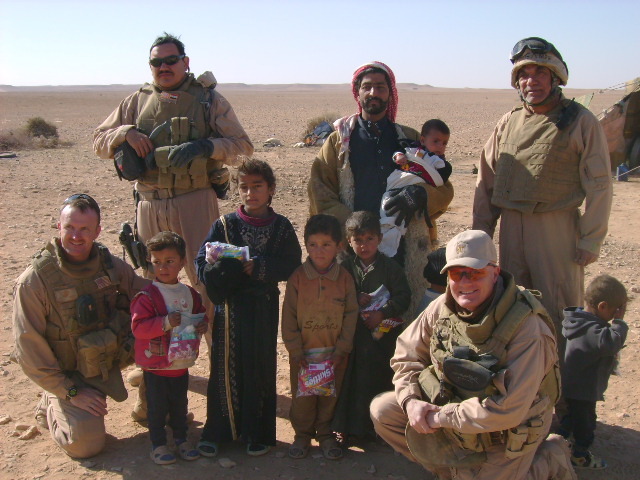 That was followed by multiple trips in and out of theater with the Marine Security Forces from 2003-2006 as well as time on the Cuban fence line at Guantanamo Bay before serving in Iraq with our Marine and Army advisors and their Iraqi Army and Security forces. I’ve served with Infantry, Armor, Combat Engineer, Artillery, Medical and Ordnance units, Security forces, support elements, bases and training centers, hospitals and ships. When I enlisted I thought that once I was commissioned that I would serve my entire career in the Army and retire as a Lieutenant Colonel. 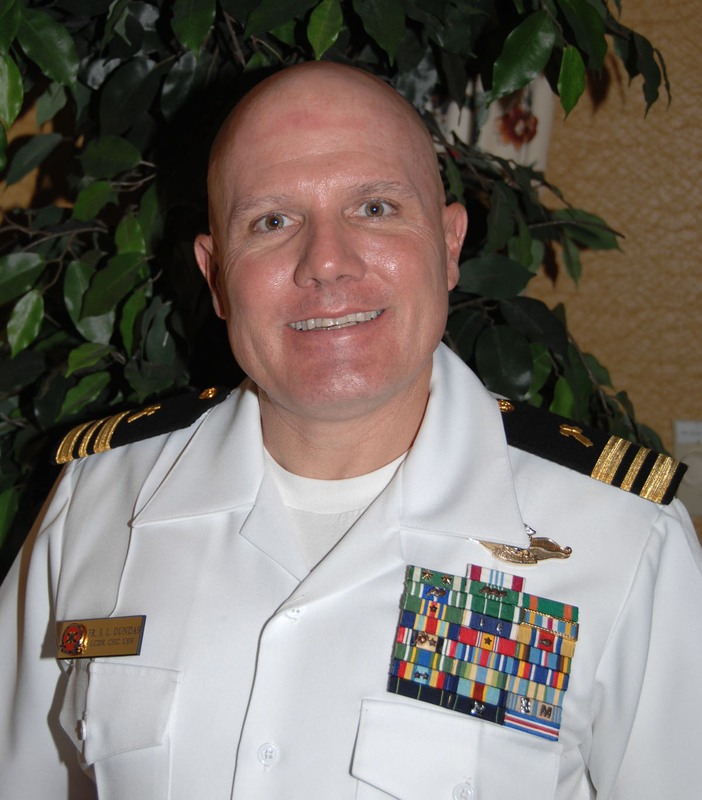 I did not anticipate becoming a Chaplain nor leaving the Army for the Navy. When I am officially promoted to Commander it will be the first rank since I was an Army First Lieutenant that I have not held twice. When I first enlisted and had no ribbons I used to look at wonderment at the Korea and Vietnam veterans who had tons of ribbons and tell Judy that I wish I had what they had. Now that I am working on 9 rows of the things I cringe every time I have to remount ribbons and ribbons and my wallet screams in agony. Judy is quick to remind me of my whininess back then and tell me that I asked for it. As an Army and Navy Officer I have served or done some kind of military duty in Germany, France, Great Britain, Greece, Italy, Croatia and Turkey, Spain, Malta, Korea, Japan, Jordan, Bahrain, Kuwait and Iraq. I’ve done what I call the “Commie Trifecta” the Berlin Wall, Korean DMZ and the Cuban Fence Line. 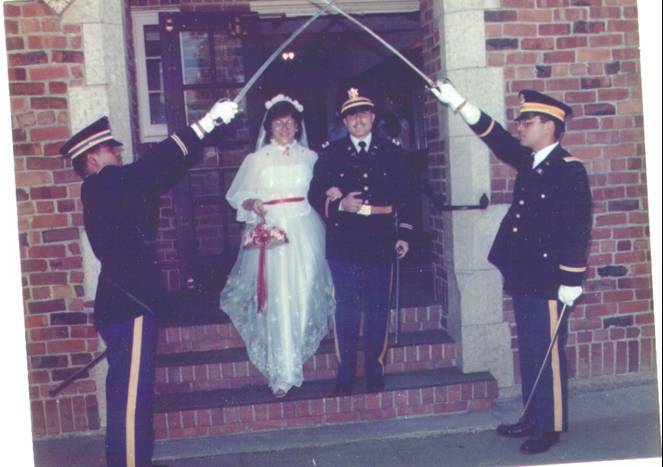 At the same time I have spent 16 of 27 wedding anniversaries away from home and lost count of birthdays and other important occasions that I missed while serving the country. I have served 5 different Presidents. In that time I have seen changes in the political, social and economic conditions of the country and the world that I could not have imagined at the time of my enlistment. The Soviet Union had just invaded Afghanistan and the Iranian hostage crisis had just ended but within the Soviet Union had been defeated the Berlin Wall taken down and collapse of the Soviet Union. Twenty years after I enlisted the people that defeated the Soviets were attacking us on our own soil. I lived in Europe and went through the Chernobyl radiation cloud which is obviously the cause of my glowing personality. While in Europe I ate enough beef to be labeled by the Red Cross as a potential carrier of Mad Cow disease. I worked on military personnel policies at the beginning of the AIDS epidemic and saw the beginning of Don’t Ask Don’t Tell policy. I saw the Reagan build up and the post Cold War drawdown. When I was a Company XO and Company Commander we had landlines and typewriters with carbon paper and did not get internet in my office until 1997. It is hard to believe the changes even in the quantum leaps in computer and communication technology in the past few years where I can check e-mail on my Blackberry and work from almost anywhere with my laptop. October 23rd 1983: Beirut Bombing: BLT 1/8 barracks and French 1st Parachute Regiment destroyed by suicide bombers 241 Americans and 58 French Paras killed. I was at the Junior Officer Maintenance Course at Fort Knox watching CNN late at night when they broke the news. December 12th 1985: Arrow Air Charter Boeing 707 crashed in Gander Newfoundland killing 248 American Soldiers returning from Peacekeeping duty in Sinai Peninsula. Among the dead was Sergeant Charles Broncato who had been one of my Squad Leaders in 2nd Platoon 557th Medical Company Ambulance. I was then serving as the Company Commander. February 15th 1988: The Soviet Union withdraws from Afghanistan. I was a National Guard Officer in Texas attending Seminary and thought this was a good thing. Now I wish that they had done better and at least killed Osama Bin Laden, then a relatively minor commander. December 21st 1988: Pan Am 103 downed by Libyan operatives over Lockerbie Scotland killing all 270 passengers and crew. The aircraft a Boeing 747 named the Maid of the Seas was the same aircraft that we had flown home from Germany on December 28th 1986. October 17th 1989: the Loma Prieta Earthquake causes massive damage in San Francisco and Oakland. I was watching pregame activities of game 3 of the World Series between the A’s and Giants on television when it happened. November 9th 1989: The Berlin Wall Fell. In November of 1986 we had been to East Berlin and like most Americans never thought that we would see this day. August 2nd 1990: Iraq Invades Kuwait: At time few people believe it well end in war. I was deputy course leader for Army Chaplain Officer Basic Course, tell my classmates to get ready to go to war. December 31st 1991: The Soviet Union is dissolved. April 19th 1993: FBI and other Federal Law Enforcement personnel using Combat Engineering Vehicles from the 111th Engineer Battalion, the unit that I serve as a Chaplain assault the Branch Davidian compound outside Waco Texas. Davidian leader David Koresh and dozens of followers die in fire and shoot out. June 17th 1994: Police arrest O. J. Simpson after nationally televised low speed chase charging him with murder in the death of his wife Nicole and Ronald Goldman. NBC splits screen between NBA championship series game between Houston Rockets and New York Knicks and the chase. I watch in back of M577 Command Vehicle on 9 inch television in the field at Fort Hood. August 12th 1994: Baseball strike cancels season, playoffs and Worlds Series. December 31st 1999: The world awaits the end of life as we know it due to the Y2K flaw sthat supposedly causes computers to malfunction and bring calamity to the earth. January 1st 2000: People including me wake up from hangovers to find that computers still work. September 11th 2001: Al Qaeda terrorists hijack four commercial airliners crashing two into the World Trade Center Towers in New York collapsing them and one into the Pentagon. A fourth is brought down by passengers before it can reach Washington DC and its target, the US Capital killing 2976 people and injuring another 6000+. I am at Camp LeJeune North Carolina and remained locked down on base the next 4 days. March 19th 2003: US and Allies launch attack on Iraq known as Operation Iraqi Freedom to remove Saddam Hussein from power and disarm his stocks of weapons of mass destruction. I am assigned to USS Hue City and the ship is in dry dock. The rest is history. I also saw a lot of baseball mostly from afar, Pete Rose’s epic hit, Cal Ripken’s consecutive games record, Nolan Ryan’s 5000th strike out and 7th no-hitter as well as all of the now steroid tainted home run records including Barry Bond’s 756th home run which I saw live in a chow hall in Baghdad. Somehow it is all worth it. Judy has not divorced me although I have probably given her reason on more than one occasion to do so and I love what I do and the people that I get to serve. It really is amazing to look back and think about all the events that I have either witnessed or been a part of in the military as well as all of the great people that I have been associated with. Those friendships and relationships mean more than about anything to me and I am grateful to God and to Judy, my family and all of my friends who have helped me, sometimes in very dark times to go as far and as long as I have in both the Army and Navy. I was selected for promotion to Commander in June and confirmed by the Senate on August 23rd. I now am about to enter a new phase of life, military service and ministry as the supervisory Chaplain at Naval Hospital Camp LeJeune North Carolina. Lord knows what the future hold, but whatever happens I feel that things will be fine.